Limited production so far. 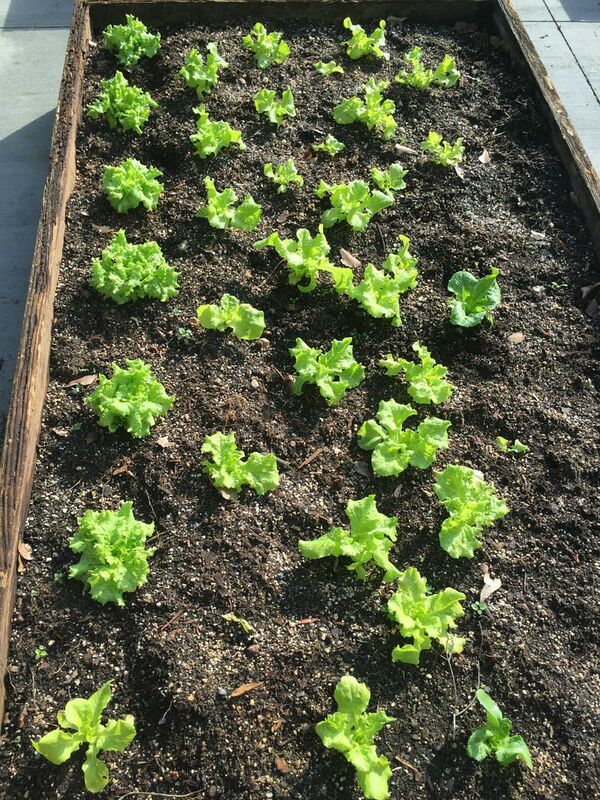 Have been harvesting nice lettuce and arugula for about a month, and is picking up substantially now. There is plenty of immature garlic for early harvest. Cilantro is doing well but the winter crop is going to seed early. Just finished off the earliest batch of radishes. Next batch is about a week to ten days out. First ripe tomato, about three weeks away! Re: What are you harvesting 2015? I have a few cilantro seedlings left but they will be the last. I have a few things to harvest, but now that the weather has warmed, I am concentrating more on starting seeds and cuttings. I have eggplant, squash, hot peppers, kale, chard, beets, calamondin, meyer lemons (over ripe), Indian curry tree ( seeds need to be collected so I can start more). I was able to get a couple of more broccoli side shoots before I had to pull them. The rakkyo is probably finally big enough to harvest after two years, but I decided to divide them instead. I've had chives 3 times! My rhubarb must be to my ankles, now. We cleaned out the "pit" in one bed which held lots of the remaining parsnips, carrots and celeriac from last year ... oh, I guess we harvested those the day in 2014 we put them in that pit and covered them with soil and pine needles. There will be volunteer orach and we won't have to wait too long. -- tomatoes (most recently two kinds of cherries -- Coyote, and Tatjana) and a saladette sized Utyonok is ripening now, and dwarf Arctic Rose will be blushing soon. getting ready to move, so we're way behind for many annuals...but getting some of the perennial stuff trickling in. turkish rocket, sorrel, lovage. Fortunately, I think we are passed any worries of ice where I'm at. Subject to change, of course! My only harvest thus far has been overwintered carrots and onions. The carrots turned out better than any I have ever tried to grow in the spring - I think I will stick to fall planting in the future! I planted the onion seeds in groups of 20-30 or so seeds last fall as well. Over the weekend, I pulled all the bunches, separated and replanted the most robust ones (they are all pencil thickness or smaller - no bulbs), and put the rest in the fridge. Lettuce should be far behind! I agree, snowed all day yesterday. But so looking forward to starting tomato seeds next week. None of my perennials have shown any sign of waking up yet but that is a good thing. Love hearing about everyone else's goodies. In sweden were off to a good start of the year, early start of the season, i have got my coldbench out and will do some more plantings soon. Harvesting tho, nothing else than some sprouts if i wanted to, none going atm tho. 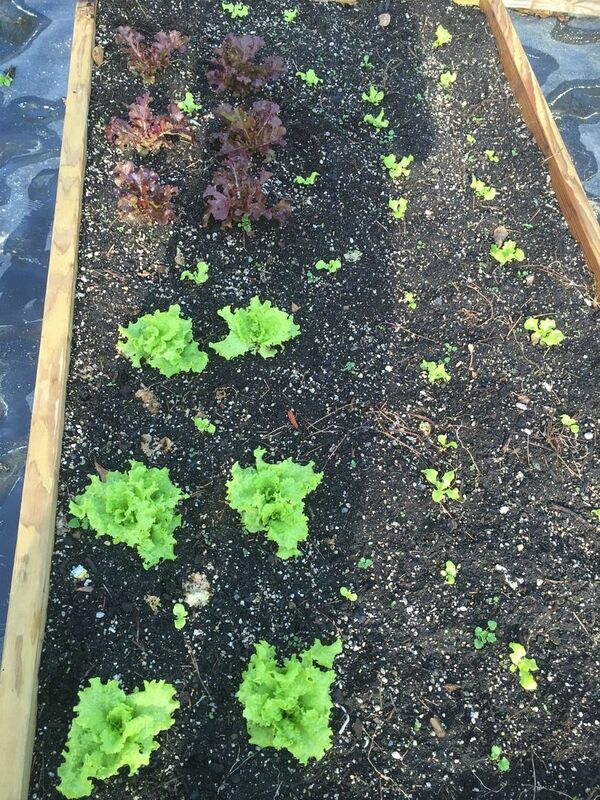 Our spring garden is just getting started well, but salad greens are giving a good batch about every three days. Mix of bought starts with smaller plants direct seeded. Row of purchased starts far left, rest are direct seeded, after thinning and spacing. 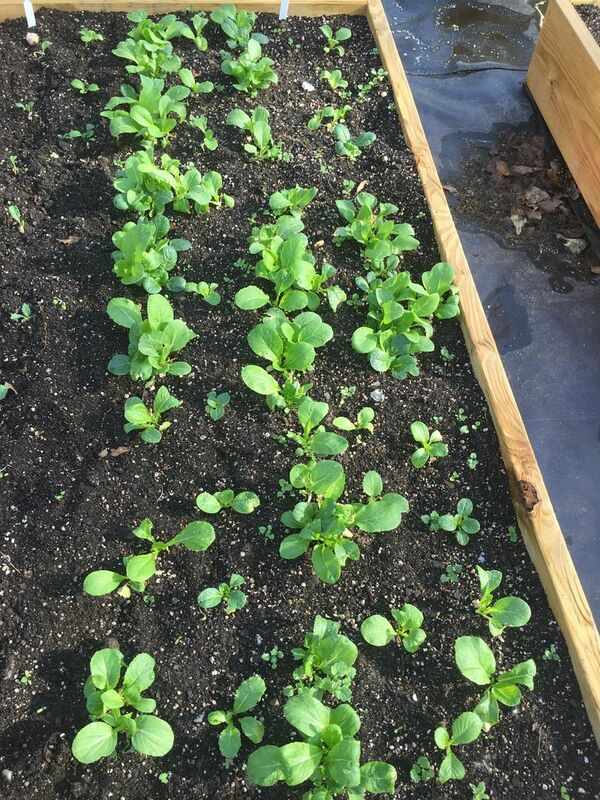 Direct seeded arugula, started in coldframe about two months ago. 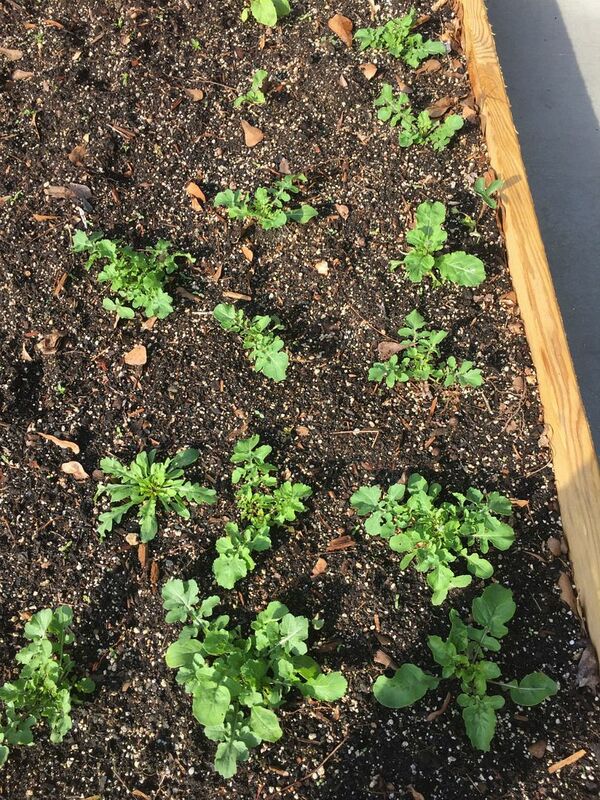 Direct seeded Asian greens mix, about 3-4 weeks from planting. Waiting to be thinned and spaced. Anything the bugs/animals/diseases/and heat doesn't destroy. That's the case every year in my location. Today I went to my community garden and spent about 6 hours weeding, cleaning , digging in compost and manure, fertilizing and finally planting corn (a month later than I planned). I did pull more beets and found out some of my beets were purple top turnips. Anybody have any good recipes for turnips? I tried them once, they were like eating radishes, not tasty. I had a few more gourds to pick. One pretty big round one, one long and a smaller round. There are a couple of more that may be the right size for picking in a few days. There was some chayote too, but I left them. Too many gourds already. Well, you and me both, Imafan26. Except, I have learned that having a good radish is just a matter of timing (& the tender seedpods are better than the roots ). I once turned a field of stumps into a garden. It gave me a little bit of everything the first season but in the fall, I realized that the only thing that did really good was the turnips. I didn't even like turnips! What I probably missed was enjoying them as greens. I like turnips sliced thin and made into sweet, salty pickles. I'm not sure if any vinegar is involved -- maybe some mild rice vinegar? -- since I've never made them myself. They might have the recipe in the Kitazawa Seeds catalog/website. ...hmm... It might be this one. The Konbu is definitely an ingredient I remember.